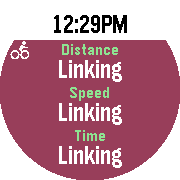 I know it has been a while but I am excited to announce that Pebble Time Round support for PlexFit is here. 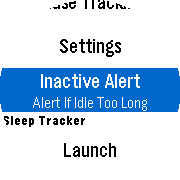 I had to redesign all the GUI to accomodate the Pebble Time Round and it took longer than I expected. I had to do many iterations till I am happy with the final design without deviating too far from the original PlexFit GUI. Here are the few new screenshots on the new PTR, hope you enjoy it. Thank you again for your support. What are you still waiting for, go get yours !! 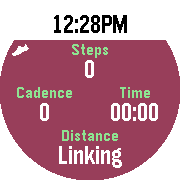 I was thinking that in previous versions of Plexfit, the user should take of the watch, lie it on a flat surface, and then run the calibration. But now, is it better to keep the watch on ones arm to perform the calibration? Does it make a difference? 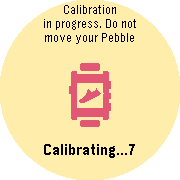 Yes it does, the new calibration instruction gives a better reactive value while the old instruction gives a more accurate value but less reactive, causing PlexFit misbehaving on some Pebbles. I'm a bit confused by how to calibrate. Tell me if what I'm doing is wrong. I go to calibrate, but before starting, I put my arm by my side (next to my hip) with my watch facing away from me (to my left as is on my left hand). Then I press the enter button. Or am I supposed to hold my arm up with the watch facing up? Ever since the new calibration, is been way of on sleep and steps. What does the flame icon on the main screen represent? How come my screen goes from sleep directly to the bike screen with no walking screen? 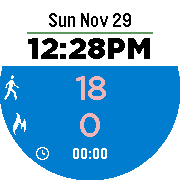 How does Google Fit know whether or not to use Pebble Health or PlexFit data when both are connected apps in Google Fit?